A 18K rose gold morganite and diamond pendant. 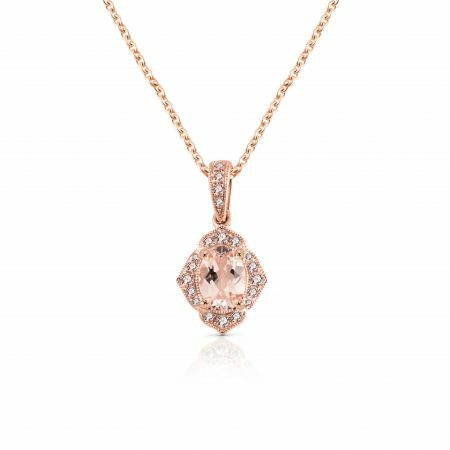 Featuring a claw set oval 0.66ct morganite, with 0.16ct diamonds bead set into the bale and surrounding the morganite. Looking for the complete set? View our matching earrings here.